Balanchine's Rubies and other Love Stories, presented by Saint Louis Ballet, at the Touhill Performing Arts Center in the Anheuser-Busch Performance Hall. Performance Dates: Friday and Saturday, February 15th & 16th. See website for more details and to purchase tickets. 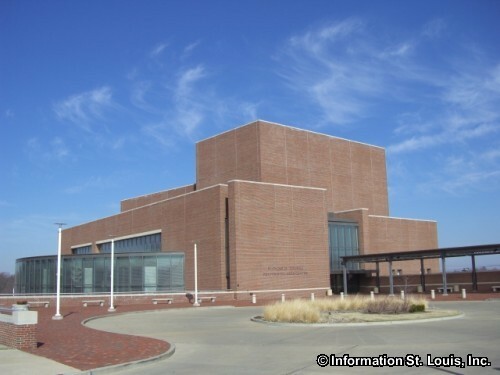 The Touhill Performing Arts Center is located on the campus of the University of Missouri-St. Louis (UMSL) and houses the large Anheuser-Busch Performance Hall and the intimate Lee Theater. Touhill hosts many student productions and performances, as well as a large variety of entertainment performances, lecture series, operas, comedians, contemporary concerts and much more. Directions: Located on the campus of the University of Missouri-St Louis which is found off of Natural Bridge Road or Florissant Road in Normandy Missouri.